The plate will sit under the large engine parts preventing metal to metal contact with the oven and trolley roller beds. It will be manufactured from 12mm PTFE to withstand temperatures up to 220 degrees C. Due to its size it will be made in two halves and fixed together with a PTFE splice plate which will be bolted in place. 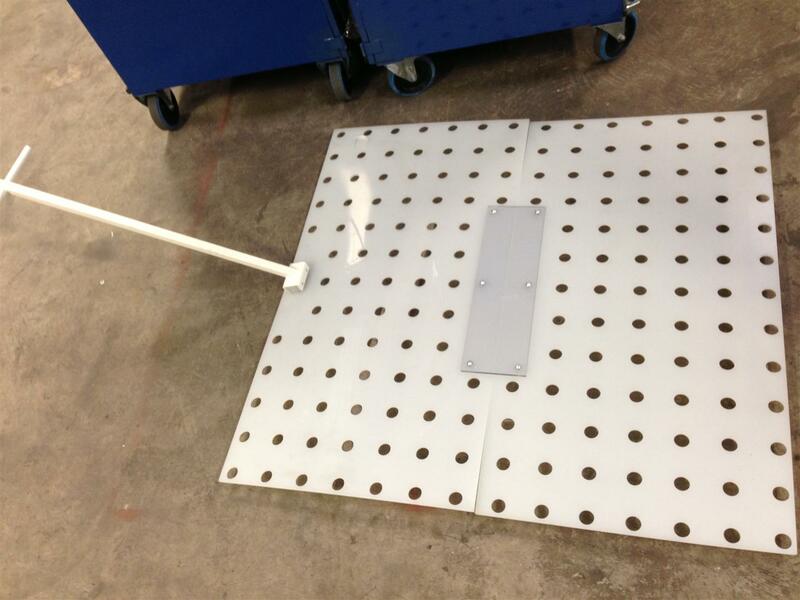 40mm diameter holes spaced at 120mm centres will allow parts to drain after the wash process. One end will feature a locating section for a handle to safely push and pull the loaded plate into and from the oven. The handle will be manufactured from 25mm mild steel tube with a T handle. Approximate overall size – 1620mm (L) x 1440mm (W) x 12mm (D).